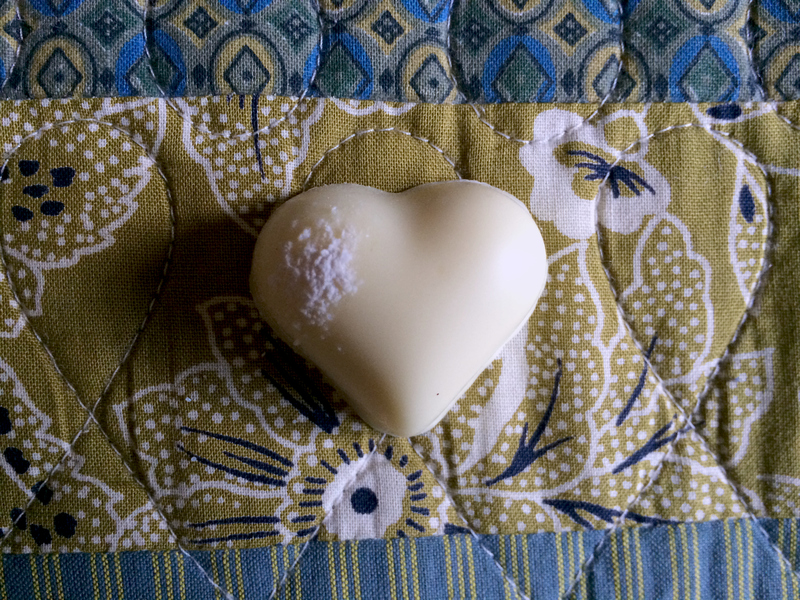 A smooth, 36% cocoa butter white chocolate heart infused with kumamoto oysters and champagne and sprinkled with pearl dust! Yes, I have been spoiled lately because of my husband’s trip to New York and the Kee’s Chocolates he brought back. But I was not at all thrilled when I learned that one of the beautiful heart-shaped aphrodisiac-scented chocolate truffles in the box he gave me for Valentine’s Day contained oyster. Not only am I not an oyster fan, I’m not even a white chocolate fan. So the chances of me liking this truffle seemed rather slim to say the least. There were two oyster truffles to get through in the box, so I ate one of them first just to get it out of the way. Biting into the rich and creamy outer shell and into the soft white ganache with hints of vanilla and oyster complimented by the crunch of pearl dust was an exquisite experience that I won’t soon forget. It was incredibly delicious, and not in the least bit fishy. I thought about the other one all week, but I wanted to wait until I’d made my way through the other eleven truffles in the box so I could save it until last. This was truly one of the most spectacular truffles I have ever tasted (particularly high praise given that I don’t really like white chocolate!). 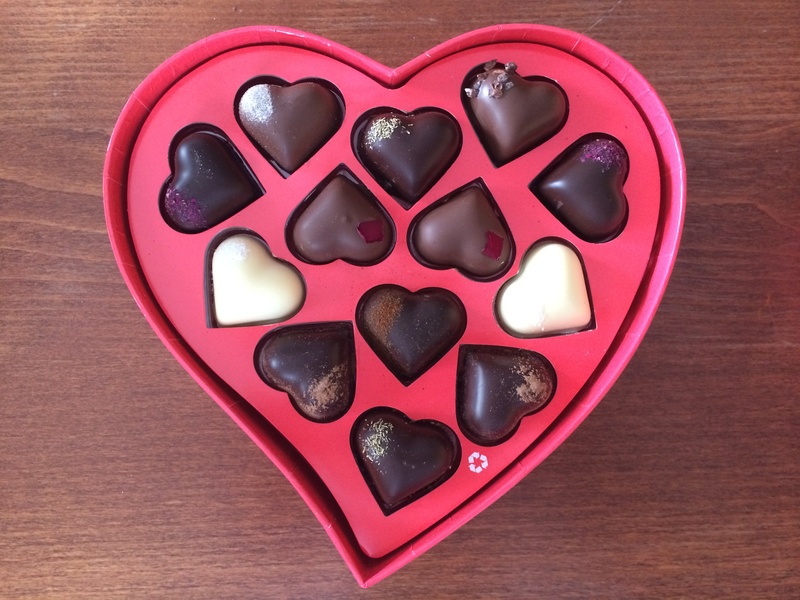 The kumamoto truffle is part of Vosges’ Envouté collection, a dossier of thirteen aphrodisiac ganache truffle hearts made specially for Valentine’s Day.